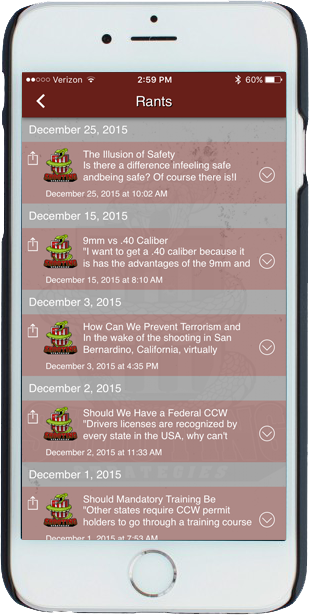 Our App is NOW AVAILABLE for iOS and Android! 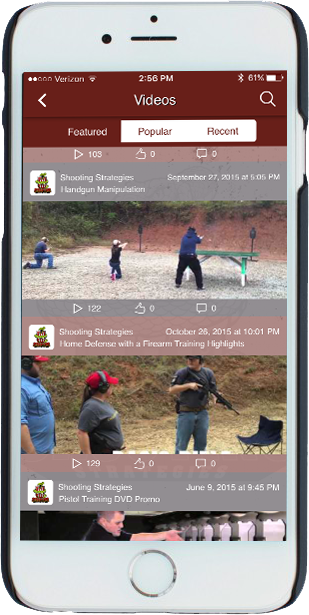 Shooting Strategies has put a lot of time and effort into developing a mobile application that will allow you to stay connected when you're on-the-go. 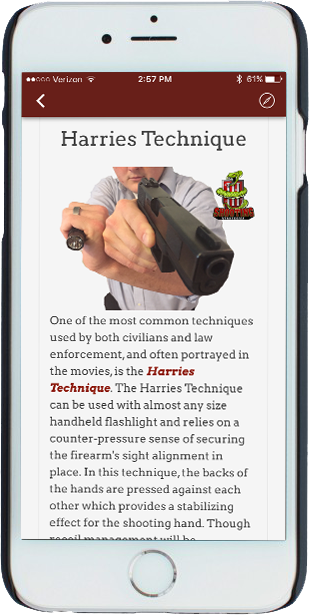 No you can look at all of our videos, informational articles, random rants, training pictures, and more right on your iOS or Android device. You can keep up with our training calendar, shop for gear in our store, and receive notifications about training events and other opportunities. We will also be utilizing our mobile application to receive feedback from you. Have a calendar date that you want to reserve for training? Tell us through the app! Want to look at new concealed carry clothing? 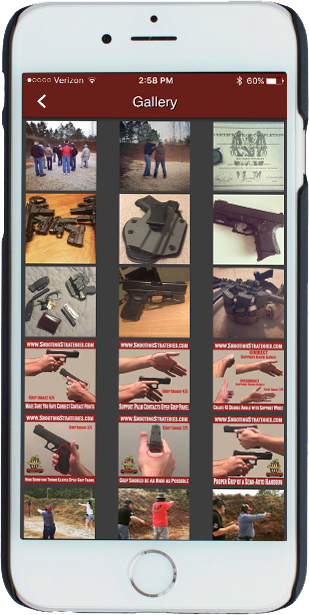 We have our online store built right in to our app. Want to watch some videos to refresh the instruction you received in class? No problem- it's in our app! 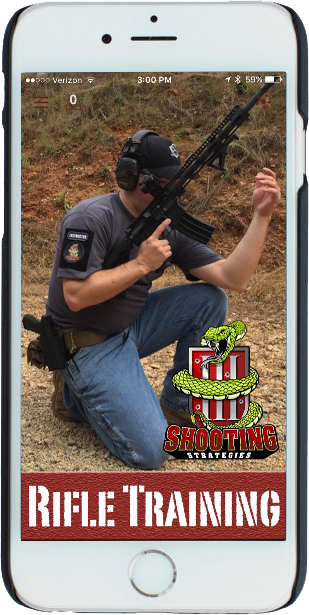 We want to keep you up-to-date on what's going on with Shooting Strategies in the most convenient way for you to receive our information... So we're going to the app store!